How To Detect Ransomware Malware on Your Computer? Secures all your servers, desktops, laptops, and mobile devices from known and unknown malware–without requiring signatures or updates. Comodo Dome uniquely solves the problem of unknown threats with revolutionary file containment and default deny technology. Comodo cWatch Web is a Managed Security Service (MSS) operating in a Security-as-a-Service (SaaS) model. This means it is sofware (no appliance required) designed to protect your company's web activity. 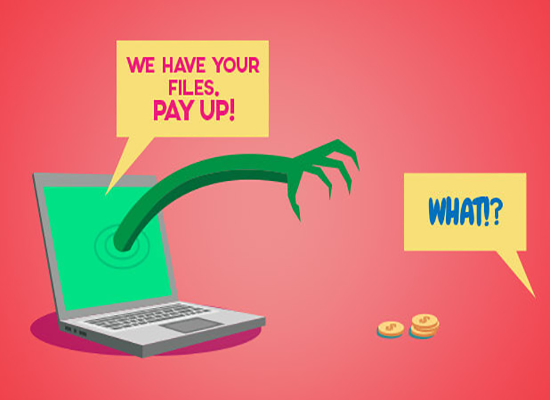 Ransomware is an advanced type of malware that uses a complex set of evasion techniques which makes it harder for traditional antivirus software to detect. With ransomware bringing online extortion to a global scale, educating yourself with techniques on how to detect ransomware before it infects your computer becomes an essential know-how. Ransomware creators use military grade encryption algorithm and pioneering social engineering tricks to take over your computer system and encrypt all your data. Ransomware even has the capacity to scramble your files so you wouldn’t be able to distinguish which file was infected or not. During a ransomware attack, your attacker will demand payment from you in exchange of a unique passkey necessary to decrypt the blocked content. Ransomware attackers most commonly demand the ransom payment to be sent using a cryptocurrency exchange platform, which law enforcement agencies have a hard time deciphering. Roughly 180,000 users worldwide had been infected in the first quarter of 2018. With continuous ransomware attacks happening all over the globe, learning how to detect ransomware indeed becomes a must-have knowledge to possess to prevent damages ransomware can cause you in an instance it find its way to your computer. A must-know precaution on how to detect ransomware accurately is by carefully checking the email addresses of your received emails. Ransomware creators send malicious email through a similar-looking email account. They use distinct techniques to make counterfeit emails look really similar to the legitimate email address they’re trying to imitate. For an instance, attackers replace small letter ‘L’ with a upper-case letter ‘I.’ These letters resemble each other that can easily fool potential victims that doesn’t have proper knowledge on how to detect ransomware. Another way on how to detect ransomware before it cause trouble to your computer and data is to check all email content carefully. Take your time in checking the email’s content especially if it involves important and confidential information. Back in the days, it’s easier to detect possible ransomware-infected emails as ransomware creators just send out huge volume of nonsensical spam emails. But those days are gone. Modern ransomware creators became more sophisticated and make counterfeit emails look more authentic. They will not just try to imitate the email address but also the writing voice of the person or institution that they are imitating. If you are in doubt about the email content, don’t do anything it suggests. Thus, the best thing you can do is to personally gave a phone call to the person or institution involved to check its authenticity. A person who knows how to detect ransomware correctly knows to never click links immediately especially if you are having doubts about the authenticity of the sender and its content. Malicious links are the most typically used technique ransomware creators employ so users can unknowingly download the ransomware to their devices. Look for any spelling errors and unusual domain. Attackers also make the domain to look very similar to the original one. Just remember if the link raises hesitation, don’t click it before you do a research about its authenticity. This tip goes beyond spam emails because any link that you can found on the world wide web has the possibility to download the ransomware to your device. An effective way on how to detect ransomware before it attacks you is to be cautious about downloading file attachments. Malicious file attachments usually hide themselves in an encrypted zip file. This way, ransom creators can easily hide the file’s content and you won’t be able to see the malicious file encrypted inside the file until you extract it and becomes too late. In case of a ransomware attack, don’t easily give in to the demands of the ransom creator. Be mindful that paying the ransom payment doesn’t guarantee you that you’ll be handed with the necessary passkey. There are other ways on how you can deal with a ransomware attack. Always remember that ransomware creators attack anybody no matter where they are in the world. Whether it’s a simple individual system placed in your home or a network system of a large institution, chances of getting threatened by a detrimental ransomware attack is unpredictable and can happen any time. Merely learning how to detect ransomware attacks is not enough knowledge to protect yourselves from the atrocious minds of ransomware creators. It would be best if you can also learn proper knowledge on how to safely remove the ransomware from your device once you’ve been infected by a ransomware attack. Always be ready and be educated about the proper steps to take in regards with malicious malware vulnerabilities such as ransomware attacks.